Modular engineering means quality control and complete flexibility in the configuration of machine components. No customization is required. The orientation of the induction and load exit meet your exact requirements. 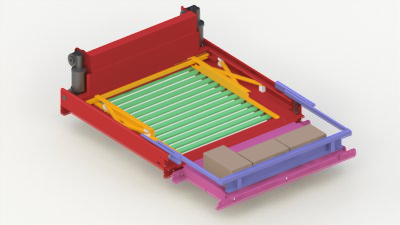 The induction system uses dual meter belts with differential speeds to singulate products into the palletizer. 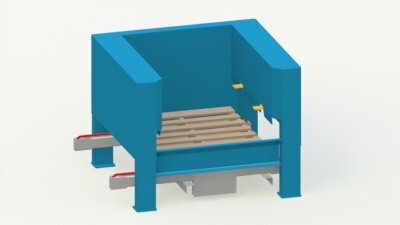 The optional PerfectPattern infeed system positively controls product handling through the induction system by providing confirmation of final product orientation. Continuous infeed processing allows slower speeds for gentler product handling. All products are squared prior to row build allowing perfectly spaced rows. Each product length is measured to confirm product orientation prior to row build. Defectively oriented products can be automatically rejected or an alarm can initiate operator intervention. Products are precisely positioned for row build with accurate electronic gapping. Row building is fundamental to palletizing. An improperly constructed row will cause an interruption in operations and could result in product damage. The combination of advanced row build engineering and PerfectPattern confirmation technology virtually eliminates row build errors. Each product is electronically gapped between adjacent products after exact entrance placement by PerfectPattern system. Gaps can be achieved without product collision to provide any spacing required by the pattern. The patented layer head provides size and price advantages by simplifying fundamental case layer build and case layer set down functions. Layer conditioning is four sided flat surface contact that automatically centers the layer on the pallet when deposited. The high speed bi-parting steel slat floor assures the layer is properly deposited. Any improperly formed layer will create an alarm prior to deposit preventing product damage and simplifying operator intervention. Pallets used by in industry vary in quality, height and design. 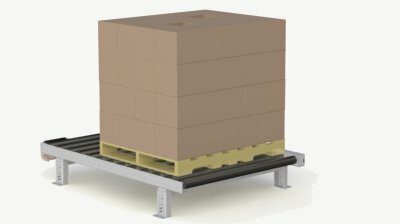 Empty pallets can also be difficult to reliably transport due to inconsistencies in the pallet bottom. 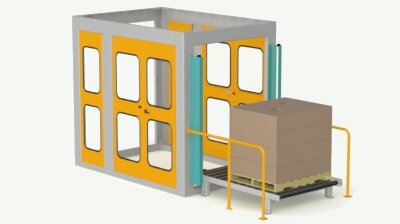 The pallet handling systems positively position and square empty pallets using pallet stops. 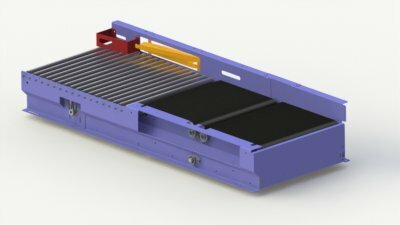 The pallet dispenser is a universal lift and separate design using forks to reliably support the pallet stack. Sheets are used as pallet liners, as slip sheets with tabs, or as tie sheets and top sheets. Freezer separator sheets that facilitate air flow can also be deposited. 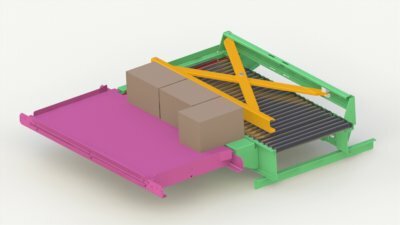 Sheet insertion equipment is also used to place an empty pallet between layers in a load, allowing double stack loads. All palletizers are available with concurrent or non-concurrent stretch wrapping. 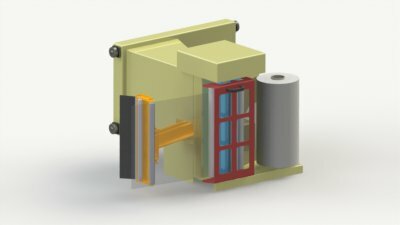 Film dispensing is calculated based on load size and load position relative to the dispenser head so that film is dispensed in proactive manner rather than the typical reactive manner using film tension. Proactive film dispensing allows film pre-stretch at 80% of film capacity and can range from 100% to 350% depending on the film used and environmental considerations. Should film break during any part of wrap operations, proprietary automatic film restart allows uninterrupted operations. Comprehensive options for wrap characteristics including film overlap, bottom wraps, wraps to pallet, top wraps, over the top wraps are available for each pattern. These load wrap characteristics combined with film tension provide ideal load containment abilities. Universal frames are constructed of single weldments CNC laser cut and CNC formed of 1/4" steel with powder coated finish. 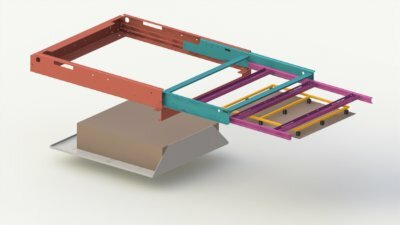 Frame openings share common dimensions for functional module integration. Frame systems are sized for 60", 90" or 110" load heights. Frames are integral to the Safety Cage Controlled Entry Protocol. 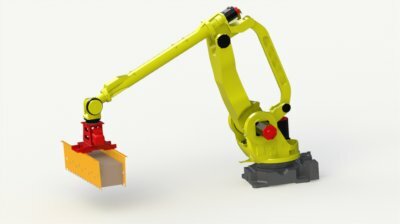 Robotic layer build option provides capabilities and performance superior to standard robots - with no robot programming. RoboTier utilizes end of arm tooling that supports product from the bottom, allowing higher speed robot motion and advanced product handling security. Bottom support offers a significant improvement over typical robot product handling methods such as vacuum top picking that is less flexible and secure, and clamping systems that necessitate looser loads. Advanced layer conditioning is provided by the standard layer head.